From the moment we met and then saw her on the X-Factor audition show then at Boot Camp a few weeks later - we knew she was destined to be a big star. She is a hard working, dedicated and wonderful talent. There are so many good singers around today, but Faye has a unique style and great stage presence. She is not a retiring wall flower. From her appearance on the X-Factor today, I hope she won't mind us saying, 'she has grown-up', matured as a singer and is now herself. Her repertoire is growing daily with a beautiful collection of soulful, mesmerizing and thoughtful songs. She has also an incredibly powerful voice doing justice to many powerful, well-loved ballads and anthems. She is a leading lady; she will talk to her audience; not just sing one song after another and then quietly leave. She has personality, warmth and wonderful timing (as well as wicked sense of humour!) She always puts on an commanding show. If you require a singer to gently lull people with soft and gentle songs in the background - Faye is not the singer for your event or party. She is a full-on act. Animated, full of exprerssion and WOW! a GREAT entertainer. 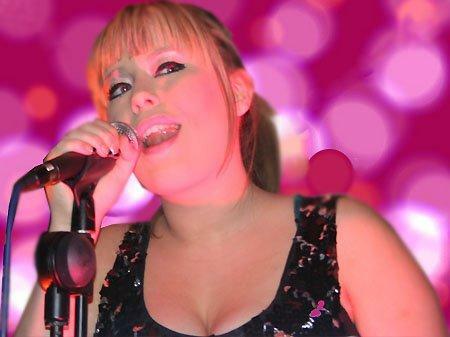 For availability fill-in our Contact Form and let's see if we can get Faye to your event, function or party.